Injury, surgery and recovery are each a journey. You bring to them your attitude and your physiology, and you work with what you have. I have always learned the most from my patients who push the limits, and today I am better educated: as both a physician and recovering patient. Note: Ever since a college soccer injury almost 40 years ago, I've had serious issues with my knee. 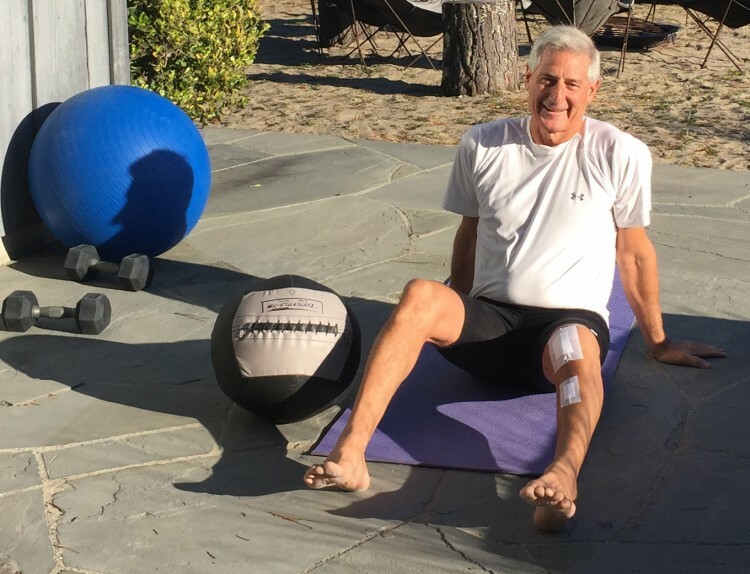 This is the second in a three-part series that talks about my own recent knee surgery--from the process of choosing the best possible surgeon through my recovery and return to a more active life. Healing is never fast enough. No matter how big or small the injury, I expect I will heal faster than is reasonable. I tell my patients about the natural course of collagen healing: by three weeks the tissues are knitting, by six weeks they are stronger. Bone heals fully by 12 weeks, but collagen and soft tissues mature fully at one year . But I am not my patients. Arrogance, determination and drive must triumph over biology, right? I counsel my patients that the first two weeks following surgery are critical. They should get a sweat work-out in each day, after physical therapists work on their soft tissues and range of motion. This should be followed by elevation and icing. Swelling reduction is key, since swelling slows healing . Patients who are good the first two weeks at following that advice, I've found, do the best, and heal faster during the next six weeks. I scheduled my own partial knee replacement surgery over the 2015 Thanksgiving week holiday so that I would not be tempted to go back to work. Of course, I did--the following week. With on-site physical therapy, a reduced schedule and the highly positive attitude of the patient (i.e., me) I was sure I could push it. I mostly got away with it--but it cost me, in terms of continued soreness and a little more swelling. As soon as the incision was dry and safe, the pool and hot tub became my morning and evening friends, ice my pain reliever of choice, and range of motion exercises my torture. This is because arthritic knees that have not bent fully for years are slow to regain their flexibility. They hurt to bend -- yet bend and extend fully they must, to get the full benefit of the surgery. The rest of the body must sweat. It was relieving psychologically and physically to push my upper body through weight lifting, my trunk and core muscles through strengthening exercises, and to raise my heart rate. Endorphins, testosterone, pheromones and adrenaline released by sweat exercise increases blood flow to the mending tissues, and speeds healing. Of my patients, those who do the best who see themselves as athletes in training, not as patients in rehab. I was no different. The drugs, frankly, are awful. Narcotics make you nauseated and sleepy. The anti-inflammatories irritate the stomach. Toradol, Tylenol and lidocaine pain patches worked pretty well, but nothing really works without a cost involved. Yet under-dosing leaves the patient with pain, which is not beneficial to healing and makes exercise difficult. Titrating the drugs to the individual patient is the best way to go; that's what we've found at the Stone Clinic and it was true for me. Old Bordeaux and a martini were the most effective. The science of pain relief has a long way to go. Five weeks after my partial knee replacement, my family went to Aspen for the holidays. I woke early, and set off up the ski slope with crampons on my hiking shoes. I had to hurry to be off the mountain before the skiers arrived. Nothing felt better than that two-hour hike, followed by the hot outdoor pool and a visit to the town's best physical therapist. 1. Bailey, Allen J., Robert Gordon Paul, and Lynda Knott. "Mechanisms of maturation and ageing of collagen." Mechanisms of ageing and development 106, no. 1 (1998): 1-56. 2. Butterfield, T. A., Best, T. M., & Merrick, M. A. (2006). The dual roles of neutrophils and macrophages in inflammation: a critical balance between tissue damage and repair. Journal of athletic training, 41(4), 457.